RealFlight is the number one flight simulator on the market. The latest version RF8 has just been released with the classic feel of previous versions but with upgraded capabilities such as VR compatibility. 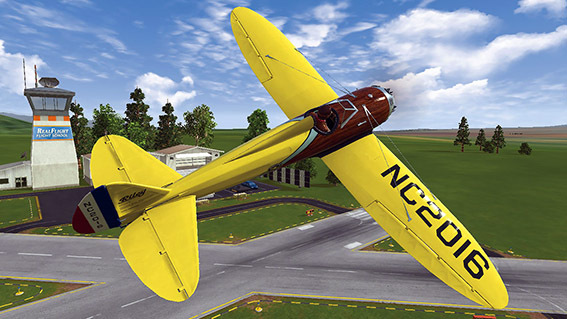 Realflight’s RealPhysics is what makes it stand apart from other flight simulators making every flight feel lifelike. The controls are designed with the input from full-scale pilots and the simulation performs thousands of calculations every second. Every control input results in immediate, accurate flight adjustments. RealFlight is an essential tool for every pilot to practice and perfect their skills. Note: The connectors on the InterLink-X cord and included adapters make the InterLink-X compatible with the trainer jacks on most Futaba® and all JR®, Spektrum® and Tower Hobbies® systems.